Read our annual reports, review our strategic plan, and find out about LAFF’s polices. Our work is guided by a comprehensive strategy and appropriate policies, which are reviewed periodically by the board of trustees. We also report on our progress and achievements each year, in our Annual Report, which includes an overview of our audited accounts. You can browse and read these documents below. The Strategic Plan 2016 – 2019 sets out the vision, mission and values of Latin American Foundation for the Future (LAFF), as well as our goals and programmes for the period 2016 – 2019. It is intended to provide a clear guide to our objectives for the period and a framework for implementation of our programmes. The Strategic Plan is currently under review. We want to keep you, our supporters, informed about how you’re changing vulnerable people’s lives. But, we only want to do this in ways that you’re happy with. We also want to keep it super simple for you to tell us how you like to receive information. Once we know, we always protect your personal information to the highest standards. This Privacy Notice explains how LAFF does it. The safety and well-being of young people is of paramount importance for LAFF; it is the foundation of our mission, the very reason for our existence. The staff, volunteers, and representatives of our organisation have a moral and legal obligation to ensure that, when given responsibility for young people, we provide them with the highest possible standard of care. LAFF is committed to devising and implementing policies so that everyone involved in our operations accepts their responsibilities to safeguard children from harm and abuse, follow the designated procedures to protect children, and report any concerns about their welfare to appropriate authorities. The aim of the policy is to promote good practice, providing children and young people with appropriate safety and protection whilst in contact with LAFF, and to allow staff and volunteers to make informed and confident responses to specific child protection issues, both readily apparent and less obvious. En LAFF, la seguridad y bienestar de la gente joven es de suprema importancia; es la base de nuestra misión, la razón de nuestra existencia. El personal, los voluntarios y representativos de nuestra organización tiene la obligación moral y legal de brindar el más alto nivel de atención. LAFF está dedicada a crear e implementar políticas donde todos los relacionados con nuestro funcionamiento acepten sus responsabilidades para proteger a los niños de todo daño y abuso, seguir los procedimientos designados para proteger a los niños e informar cualquier preocupación acerca de su bienestar a las autoridades pertinentes. El objetivo de la política es fomentar buena práctica, proporcionando a los niños y gente joven con la seguridad y protección apropiada mientras interactúan con LAFF, permitir al personal y voluntarios dar respuestas informadas y seguras sobre cuestiones específicas de protección infantil, ya sea directamente aparente o menos obvio. Board of Trustees – Role and Guidelines sets out policies and principles for the work of board, including the roles and duties of the trustees, and board management guidelines. We have a Conflicts of Interest Policy setting out guidelines and procedures to identify, monitor and manage any actual or potential conflicts of interest, to ensure that conflicts do not prevent the trustees from making decisions in the best interest of LAFF. It is our policy to conduct all of our business in an honest and ethical manner. We take a zero-tolerance approach to the commission of financial crime and are committed to acting professionally, fairly and with integrity in all of our business dealings and relationships wherever we operate. Reflecting this commitment, we have a Financial Crime Risk Policy describing our approach to anti-bribery and corruption, anti-money laundering, fraud and related matters. This policy is not available via our website. For further information, please contact our Programme Manager by email at [email protected]. 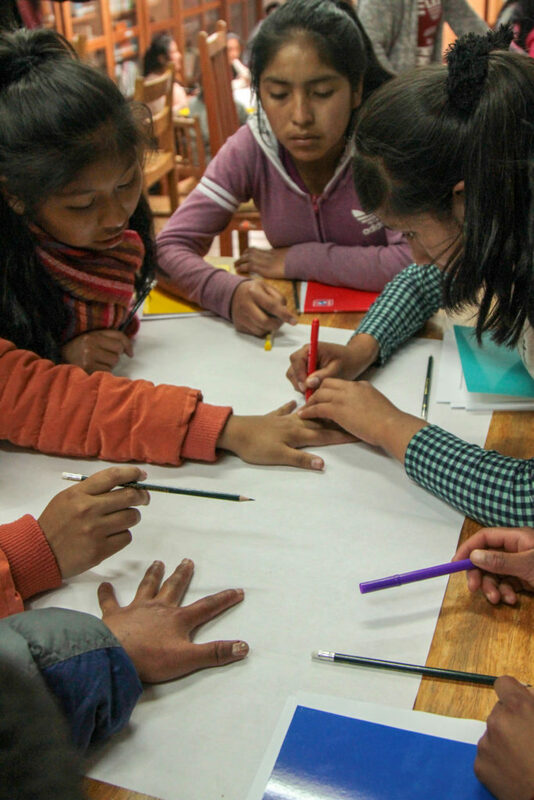 LAFF is a UK registered charity, working with partner organisations in Peru to help disadvantaged children and young people build a better future.